This blog entry is about random thoughts careening through my brain today. Last week marked the eight-year anniversary of this blog. I started it in 2010, to promote a book I had written. The book did OK, but it’s out of date now. Things happen rapidly in the field of opioid use disorder treatment. My blog has turned into a bigger thing than I ever planned. I enjoyed writing it more than I thought I would, and people were more receptive to the type of information I presented than I imagined they would be. People tell me my blog filled a void by providing information about medication-assisted treatment of opioid use disorder. I’m glad. This makes me happy. While there are other blogs about Suboxone, most are oriented towards patient problems and questions. I hope my blog entries help patients and their families gather more information, but I also want to edify treatment professionals, including other physicians, nurses, therapists, and counselors. To be able to do this, I must keep reading the latest information and going to conferences in the field of Addiction Medicine. Since this field is my passion, that’s been no sacrifice to make; plus, it keeps me up to date for my own patients. But the writing can be vexing. Sometimes writing flows like lava down the side of a volcano, but sometimes I write a sentence three times before I’m happy with it. This has improved with more consistent writing, but there are days that I still sumo-wrestle with sentences. Terms we use in this field have changed over eight years. If I want to re-blog something from more than six years ago, I need to read it carefully before posting again. I’ve missed a few “opioid addiction” phrases and readers have pointed out my error with some enthusiasm. Fair enough. Language is important. The proper term now is “opioid use disorder,” and patients are not “addicts.” They are people with opioid use disorder. Some blog entries are informational and don’t change, so I recycle them: how to treat insomnia without medications, how clonidine works, and the like. Other blog entries are out of date within in year, like statistics on opioid use disorders and overdose deaths, and state laws around opioid and buprenorphine prescribing. Buprenorphine’s reputation has changed. In 2010, many fewer people knew what this drug was. Now we have internet memes about Suboxone, and plenty of websites with data and opinion. We’ve had some excellent news pieces about the medication buprenorphine, and some websites set up only to tell the world how awful buprenorphine is. Everyone has an opinion, it seems. Diversion of buprenorphine products has become a frequent topic, fueled by the perception that much of this medication is making its way to the black market. My own opinion about medications for opioid use disorder and how treatment should be organized have changed. I’ve become more avid about harm reduction, but more conservative about where patients start treatment. I’ve also come to believe most new patients with opioid use disorders should be started on medication at opioid treatment programs, then referred to office-based programs once they stabilize, like the Vermont hub-and-spoke model. I realize those two views aren’t consistent. We have too many lawmakers trying to legislate the care provided at treatment programs, but I understand why they feel it’s necessary. Some treatment programs cry “harm reduction” as an excuse for sloppy patient care while making large profits. Medicine in the U.S. is a for-profit enterprise, and no doctor should be blamed for making a profit; however, there’s profit and then there’s obscene profit. I’ve met some of the best, brightest, and most dedicated people in the world in this field of medicine. I’ve also met some real con artists and shady characters in this field, working only for personal prestige and money. It seems to draw people from both extremes, and I try to maximize my contact with the former and minimize my contact with the latter. I’ve developed a thicker skin writing the blog. I don’t post the worst of the comments, like the woman who commented that I would burn in hell for prescribing medication for opioid use disorder. She’s entitled to her opinion, but it’s my blog and I don’t have to air her view, particularly since it seemed spew-y and irrational. I don’t post comments insulting to people with opioid use disorder, unless it’s to educate readers about how much misinformation still exists in the world. Patients sometimes write negative comments about their care providers, and I usually encourage them to talk to their physician. If they don’t get satisfaction with that, I tell them to vote with their feet and go elsewhere. The trouble is, there may be only one provider in their area. What does the patient do then? We do need more primary care physicians prescribing buprenorphine, but they must be respectful of the patients they treat. If as a physician you can’t understand that some behavioral issues are associated with opioid use disorders, you shouldn’t be working in the field. The nation must educate physicians in all fields about medication-assisted treatment for opioid use disorder. Treatment for opioid use disorder has for too long been in its own silo, far away from mainstream medicine. Most physicians don’t know anything about MAT, except that they are opposed to it. These physicians MUST be educated. Our patients must be able to get good medical care without judgment. Negative comments from other physicians about MAT undermine our patient’s progress and their self-esteem. It also prevents my patients from getting good medical care from primary care providers, surgeons, and especially emergency department physicians. Physicians must start referring people with the illness of substance use disorder for treatment, rather than telling these patients they are bad people because they haven’t stopped yet. They must be taught to give my patients the same understanding and forbearance as patients with other chronic medical illnesses with behavioral components. I’m happy with all the attention that new outlets have been paying to opioid use disorder and its treatment over the past several years. I also wish this attention could have been started around fifteen years ago, before thousands died from this problem. I was asked to speak as a member of a panel about opioid use disorder, at the annual addiction conference at the University of North Carolina at Charlotte (UNCC) this month, called the McLeod Institute. This conference was named after Dr. Jonnie McLeod, a great leader in the field who passed away several years ago. I’ve spoken at this conference several times before, and it’s always a treat. It lifts my spirits to see new recruits entering the field of substance use disorder treatments, all fresh-faced and enthusiastic. One whole day of the conference was devoted to the problem of opioid use disorders, and I’m sorry I couldn’t attend the morning’s events. After lunch, the five of us on the panel took our seats. At one end was the operator of an abstinence based, 12-step oriented non-profit outpatient treatment program, one of the best in Charlotte. To his left was a Charlotte-Mecklenburg police officer whose focus was on interdiction of heroin flooding the streets of Charlotte. Then there was me, and to my left was Donna Hill, program director for Project Lazarus in Wilkes County. At the extreme left was Jennifer, a social worker from New Jersey with many years of experience in the substance use disorder counseling field. We all introduced ourselves and said a little about how we approached the treatment of opioid use disorders. When it was my turn, I did my usual spiel about how treatment of opioid use disorder with medications including methadone and buprenorphine and naltrexone are the most evidence-based treatments available, yet still have the most stigma against them. I told them our country overused treatments that don’t work, sometimes over and over. I told the audience I worked for an opioid treatment program and had my own office-based practice where I prescribe buprenorphine. The whole point of the panel was to allow the audience to hear the different viewpoints on our nation’s problem with opioid use disorders, and the panelists didn’t disappoint. Of course the director of the 12-step oriented, abstinence-based outpatient program advocated for that form of treatment. He made some neutral-to-negative comments about MAT, but he wasn’t as vehement as I expected. Donna from Project Lazarus probably could have justified talking the longest, since Project Lazarus is active in so many aspects of treatment, prevention, education, and community outreach, among other things. She gave a nice summary of all the things Project Lazarus does, and encouraged people to call them if they wished to set up a similar organization in another place. Jennifer the social worker said some good things about how all of us treating opioid use disorder need to work together and communicate, but then, in my opinion, she blew it when she said she disapproved of how treatment programs take advantage of people with opioid use disorders by charging them money to be in treatment. At first I didn’t know exactly who she was targeting but when she said clinics discouraged patients from getting off methadone and buprenorphine only because it was bad for their business, I felt my ire rising. You know I had something to say about that. I got a little heated, and said I didn’t think it was fair to imply opioid treatment programs were unethical because they charge patients money to be in treatment. I said other medical specialties charge money for their services, and that this was the way this country approached healthcare. I went on to say that opioid treatment programs don’t keep patients on methadone because it’s a business model; it’s because patients who leave methadone treatment at an OTP have an eight-fold increase in the risk of dying, and a high risk of relapse with all the misery that can come with it: poorer mental and physical health, fractured relationships, damaged self-esteem, lowered personal productivity. After all, I said, is there any other medication for any other disease that reduces the risk of death by eight times, that has the stigma against it that methadone does? OK…it’s possible I’m more lucid as I’m writing this than I was in the moment, but I blurted out something to this effect. Other than that incident, I was relatively well-behaved. I liked all my fellow panel members, even though we didn’t agree about everything. We all agreed on the most important thing – we all want to keep people from dying from opioid use disorder, and we all want them to find a good quality of life in their recovery. I stayed to listen to the second panel, composed of people in recovery from opioid use disorder. There were six people on that panel, and of the six, five were either neutral or critical of methadone or buprenorphine. These five people all said that 12-step recovery in Narcotics Anonymous allowed them to quit using drugs and live a successful recovery. The last patient was different. She gave a brief history of her recovery, and said that though she found 12-step recovery helpful, she needed methadone to return her to a place where she could function normally. She described being off opioids for some months, but being plagued with post- acute withdrawal that ultimately lead to a relapse. Now, she considers methadone a necessary medication for her, and said if she had to be on it for the rest of her life in order to feel normal, she could accept that. I was so impressed with this lady’s courage. It had to be hard to follow five peoples’ stories that all centered on abstinence-based recovery with her story of being in a form of treatment with so much stigma against it. I was very pleased by what she was saying, and felt like she was speaking for all the people who have benefitted from medication-assisted treatment. I was socializing with some of the panel members before leaving, and to my surprise, the operator of the non-profit abstinence-based outpatient program told me he was sorry if it sounded like he was trying to bash methadone treatment. I was surprised and pleased, and thanked him. I’m glad I was there, and I’m glad to see fresh recruits joining the effort to help people with opioid use disorder in their recovery. I read a brief news item online about the drug manufacturer getting sued, but I didn’t get detailed information until I read last week’s issue of Alcoholism and Drug Abuse Weekly (ADAW). Here’s the scoop: the Attorneys General for thirty-six states are suing Reckitt-Benckiser (RB, now called Indivior), because the company attempted to block generics from entering the market after RB’s patent for sublingual buprenorphine products expired. Reckitt-Benckiser manufactured Suboxone and Subutex, which were the initial buprenorphine products that came to market in 2002, after the DATA 2000 law was passed. As a reminder, before DATA 2000 was passed, it was illegal to treat opioid use disorder in an office setting with an opioid prescription. Doctors have gone to jail for this. Before DATA 2000, opioid treatment programs (OTP) were the only setting where prescribing (methadone was the only approved medication) for opioid addiction was permitted, and these OTPs have always been strictly regulated by multiple governmental agencies. The FDA has approved only one medication, buprenorphine, to be used under DATA 2000, and only the sublingual form was approved. Then earlier this year, a second form of buprenorphine was approved to treat opioid addiction: the six-month, sustained release implantable rods impregnated with buprenorphine, known as Probuphine. Buprenorphine taken by other routes of administration aren’t covered by DATA 2000, and therefore can’t be used to treat opioid addiction. These forms include the name brands Butrans patch, Belbucca oral film, and IV/IM buprenorphine used for pain control. Reckitt-Benckiser’s patent for sublingual buprenorphine tablets was set to expire around 2008. Years before that, RB worked on finding a different delivery system, and the film version of Suboxone came out in mid-2010. This new form had its own patent, so that RB was the only company that could manufacture and sell that form of their medication. However, since their sublingual tablet had come off patient, other drug companies could make generics, which would bring down the price to consumers of this life-saving medication. But the Attorneys General allege RB tried to block the release of the generic tablets. RB told their drug salespeople to tell doctors that children were dying from ingesting buprenorphine tablets, and that the risk of prescribing this form of treatment was too great. They said the safest way to treat patients was with the film, which comes individually wrapped in a foil packet. And remember, only RB manufactured this film. On May 12, 2012, I blogged about Reckitt-Benckiser’s attempt to persuade me to prescribe only the film. In that blog post, I describe how the drug representative told me that sublingual tablets were now suddenly too dangerous to prescribe, due to pediatric overdoses. She also told me it was much better for patients to be prescribed the film, since people addicted to pills could be triggered by tablets. 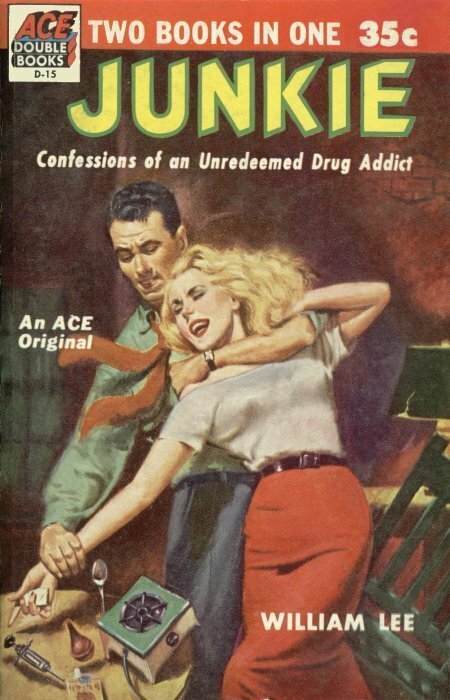 Her credibility took a big hit that day, because she’d promoted the hell out of her company’s tablet form of Suboxone and Subutex to me for years. I called her out on the inconsistency and disingenuousness of her statements, promulgated by her company, and I blogged about it. It was the first time someone chastised me for something I wrote on my blog, and I was elated. I felt like a real journalist! She hasn’t visited my office since, and I haven’t missed her. She’s a nice lady, which is the only reason I put up with her in the first place. Right or wrong, I‘ve always found drug reps to be tedious. I harbor no illusions about what drug reps do. Their job is to sell their product. When I worked in primary care, I was lied to on a regular basis by drug reps. For example, when the drug rep for a company that sold Prempro told me that estrogen replacement therapy reduced the risk of breast cancer. I remember being shocked into silence as I frowned at him, wondering if he thought I was really, really stupid. The lawsuit alleges consumers had to pay higher prices due to RB’s efforts to block generic tablets. These states want Indivior, formerly Reckitt-Benckiser, to pay back billions of dollars of profit obtained through unfair practices. The lawsuit alleges the company manufactured claims of pediatric safety as a way to manipulate doctors into switching their patients over to the film, instead of continuing to prescribe the tablet form of the medication, which would have generic versions coming onto the market soon. The drug company, as well as the company that developed the film technology, both say they did nothing wrong, and that their product has saved countless lives. I’m sure readers find it remarkable, as I do, that all three of the name brand forms are the same price. It’s also interesting that the cheapest form, generic buprenorphine monoproduct, is only 28% of what the name brands all cost. Here’s something more fascinating – BlueCross/Blue Shield of NC requires prior authorization for every one of their covered patients who are prescribed buprenorphine. For years, this insurance company will ONLY authorize payment for the name brand Suboxone in film form. They refuse to pay for the cheaper generic, either mono or combination forms. I don’t know why BC/BS decided to only cover the name brand Suboxone films. I could understand if they wouldn’t pay for the monoproduct, due to concerns that it’s more desirable on the black market, and the insurance company may not want to contribute to this problem. But why do they object to the generic combo product? Perhaps they worked out a special, cheaper deal, or perhaps they were swayed by drug manufacturer patter. It’s hard for me to see that Reckitt-Benckiser/Indivior did anything different than what other drug companies do routinely. Of course their drug salespeople exaggerated the danger of pediatric exposure to buprenorphine tablets in an effort to influence doctors to prescribe only the films. But their claims were so weak and transparent that it would be a gullible doctor indeed who fell for the company line. And since when do doctors accept what a drug company salesperson tells them at face value? I’m not saying outright lying by drug company representatives should ever be OK, but…it happens. The drug companies make big bucks, but they counter by saying they spend so much money in research and development of new drugs, and if it weren’t for their work, we wouldn’t have all these new medications that we have that are extending peoples’ lives. That’s somewhat of a legitimate point, but at what point do we say the drug companies are making adequate profits or excessive profits? And at what point does an exaggeration about a medication become a lie? Great Book About Opioid Addiction!!! 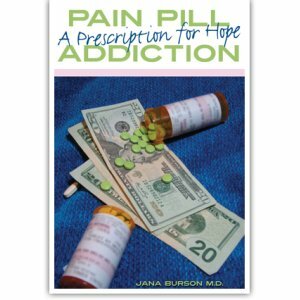 I orginally started this blog to promote the book I wrote about pain pill addiction. As it’s turned out, the blog has been much more popular than the book (it isn’t exactly flying off the shelves), so I’d like to remind blog readers – again – that if you like the blog, you’ll love my book. You can order it from Barnes & Noble, or Amazon. But I’m selling it for a much-discounted rate of $13.95 on EBay. That’s with shipping included. Yesterday, government officials proclaimed the formation of collaborative plan to address this nation’s problem with prescription opioid abuse and addiction. Speakers included Mr. Gil Kerlikowske, the director of the ONDCP (Office of National Drug Control Policy), Dr. Howard Koh, from the department of Health and Human Services (DHHS), Dr. Margaret Hamburg from the Food and Drug Administration ( FDA), and Ms. Michele Leonhart, administrator of the Drug Enforcement Administration (DEA). Speakers recited pertinent statistics regarding the state of opioid addiction and abuse in the U.S. It’s now the faster growing public health problem in our country. Around 28,000 citizens died from unintentional drug overdose in 2007, the latest year for which data is available. More people in the U.S. now die of unintentional drug overdose than gunshot wounds. In seventeen states and Washington D.C., unintentional overdose deaths outnumber deaths from motor vehicle accidents. The plan has four main points. First, both patients and prescribers of controlled substances will be provided with better education about these potentially dangerous medications. The drug manufacturers will be asked to develop educational products for both patients and providers for education, which will be reviewed by the FDA before approved for release. The medications included will likely include sustained-release oxycodone, oxymorphone, hydromorphone, and methadone. Fentanyl patches will also be included. The ONDCP is seeking to introduce legislation that will change the Controlled Substances Act in order to make training mandatory for doctors who prescribe long-acting opioids. Second, the national government will push the few remaining states that don’t have function prescription monitoring programs to put them in place, and to be able to share data with adjacent states. Third, the government will support more medication “take back” days in communities across the U.S. Citizens will be encouraged to bring old medication to community sites in order for proper disposal. Previous take back days have been very successful, with tons of pills collected and disposed. This will reduce the number of prescription opioid pills available for diversion. Surveys reveal that round 70% of the pills obtained by people misusing prescription medication for the first time are obtained from friends and family members, often without permission, from old prescription bottles. Fourth, state and federal agencies plan to crack down further on rogue doctors and clinics that are “pill mills.” This will require participation from state medical boards, law enforcement, and the DEA. The goal of this plan is to achieve a 15% reduction in prescription opioid misuse in this country by at within the next five years. I’m so pleased to see this announcement. Back in 2001, when I first started treating prescription opioid addiction, I was amazed at the numbers of people seeking treatment for this disorder. Studies since then have shown the situation has gotten much worse. I’ve been blathering on to anyone who will listen about the need for prescription monitoring plans (see prior blog entries for March 6, 8, and 31), so I’m delighted more attention is being paid to this. But I still worry about how states will communicate with each other. For example, my practice is close to South Carolina, yet that state has denied me access to their database. The only allow access to doctors licensed in South Carolina. I use the prescription monitoring program in my state both at the two Opioid Treatment Programs where I work and in my own office, where I see Suboxone patients. I’ve been using it since 2007. I support the pill “take back” programs. While such events probably won’t do much for those with established addiction, they can help reduce the number of new users and experimental users. Remember, opioid overdose deaths don’t just happen to addicts. Youngsters experimenting with opioids can die from overdoses. In fact, new users dabbling with these pills, because they think they’re safer than “street” drugs, may be more likely to die because they don’t have any tolerance to opioids. We need good judgment and balance when shutting down pill mills. 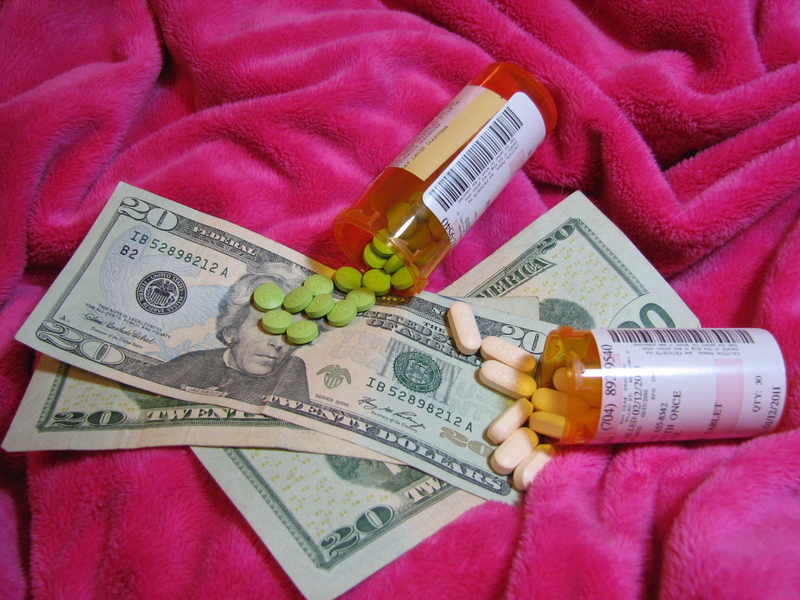 How can the DEA tell a pill mill from a legitimate pain treatment practice? I believe this is best done by other doctors. In this state, the medical board does investigations, which I feel is more appropriate than having investigations done by law enforcement. Law enforcement personnel just don’t have the training to tell the difference between appropriate care and careless prescribing with disregard for patients. Let other doctors do that. Granted, a few places will be so obvious that little investigation is needed. We don’t want the opioid pendulum to swing to the opposite side again, and become completely opioiphobic. These pain medications are addictive, but are also godsends in the right setting and used in the right way. Let’s take care not to throw out the good with the bad. The best people to set policy in this area are well-trained doctors who approach this issue with common sense and balance. Coming as late as it does in this epidemic, I could be negative and say the government has had an epiphany of the obvious. But I do know it takes time for all of these agencies to come together in a cooperative manner and form a plan of action. I’m just thankful that action is finally being taken. Are Opioid Pill Addicts Different From Heroin Addicts? Most of the opioid addicts I have treated over the last ten years have been addicted to pills, not heroin. But information about prognosis and treatment of opioid addiction was gleaned from studies with heroin addicts. I’ve often wondered if the old data fits the new patients. Over the last ten years, the number of people addicted to prescription opioids has ballooned. Prescription opioids are now more likely to cause or contribute to drug overdose deaths than heroin or cocaine. As prescription opioids outpace heroin in many parts of the country, scientists have wondered if there are significant differences between these prescription addicts and heroin addicts. Biologically, addiction to heroin or prescription opioids would appear to be the same disease, because both types of drugs are opioids, and opioids affect the body the same way. But do all opioid addicts respond the same to treatment? This study of over nine thousand drug users found that users of both prescription opioids and heroin were more likely to use other, non-opioid drugs than the other three groups. These addicts seemed to have worse mental health issues than the other groups, too, while users of non-opioid drugs tended to have less severe mental health issues than opioid addicts of all types. The prescription opioid-only addicts were found to use significantly more non-opioid prescription drugs, while the heroin-only addicts were significantly less likely than prescription opioid addicts to abuse sedatives and tranquilizers, like benzodiazepines, than the other two groups of opioid users. This last fact definitely squares with what I’ve been seeing. So many of my patients are struggling or have struggled with benzodiazepine addiction. I wonder if opioid pill users are at increased the risk of overdose death when treated with methadone, compared to the heroin-only users of past decades. This article, at the very least, shows there are significant differences in clinical features for at least three types of opioid users. It’s possible people who are addicted to prescription opioid pills have different prognoses and different responses to treatment than heroin-only addicts. Hopefully we’ll see further studies to guide our treatments. 1. Wu, LT; Woody, GE; Yang, C; Blazer, DG; “How Do Prescription Opioid Users Differ From Users of Heroin or Other Drugs in Psychopathology: Results From the National Epidemiologic Survey on Alcohol and Related Conditions,” Journal of Addiction Medicine, Vol. 5, No. 1, March 2011. Am I Addicted to Prescription Pain Pills? I am a guest blogger on addictionblog.org, and recently had a well-received article published on that site about how to know if you are addicted. I thought I’d repeat a version of that column here. There’s so much confusion about the differences between the disease of addiction to opioid pain pills and mere physical dependency on pain pills. Even some doctors don’t understand the differences, regretfully. Any person who regularly takes opioid pain pills for a period of weeks to months, for whatever reason, will develop a physical dependency to these drugs. That’s a biologic event. But addiction is much more than just the physical process. With addiction, there’s also a psychological component. People with addiction think about the drug often, spend time using and recovering from the drug, and continue to use the drug even though bad things happen. In physical dependency alone, this doesn’t happen. Do I take more medication than prescribed? Do I take early doses, or extra doses? Do I take medication in ways it’s not intended? For example, do I snort it, or chew it for faster onset? Do I inject it? Do I get medication from friends, family, or acquaintances because I run out of my prescription pills early? Do I become intoxicated, or high, from my medication? Without telling my doctor? Do I drink alcohol with medication, even though the pharmacist advised against this? Do I look forward to my next dose of medication? Do I get impaired from my medication, to the point I’m unable to function normally? Do I take pain medication to treat bad moods, anxiety, or to get to sleep? Do I use street drugs like cocaine, marijuana, or others? Have I driven when under the influence of pills, when I know I shouldn’t be driving? Do I get prescriptions from more than one doctor, without telling them about each other? Do I spend a great deal of time worrying about running out of medication? Do I spend a great deal of time thinking about my medication, and how it makes me feel? One “yes” answer to any of these questions is worrisome, though not necessarily diagnostic of addiction. I think of addiction as a continuum, and it’s easier to diagnose with multiple “yes” answers. For example, people taking prescriptions may have a few worrisome symptoms, like taking an extra pill occasionally. Perhaps they did this because of a temporary increase in pain. Without any other symptoms, I probably wouldn’t diagnose addiction. At the other end of the spectrum, if a patient is crushing pills to inject or snort, I feel confident making the diagnosis of addiction. Sometimes addiction only becomes apparent over time. This is why doctors need to see patients frequently who are prescribed potentially addicting medication, like pain pill, stimulant, and benzodiazepines. If you had one or more “yes” answers to the above questions, please see a doctor who knows something about addiction, because untreated addiction usually gets worse. In fact, it can even be fatal.